The VW Jetta also offers upgrades like adaptive cruise control, personalized driving profiles, the Volkswagen digital cockpit, and even an optional 8-inch touchscreen navigation system to get you to that hopping new West Des Moines rib joint on time. 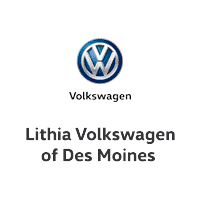 Check out the new Jetta models and options, then stop by Lithia Volkswagen of Des Moines to take this classy sedan out for a road test. And, should you need to have any warranty service completed, our factory-authorized service center can set you up right. To learn more about the Jetta vs. Passat, or to schedule a Ames area test drive of your favorite Jetta trim, contact us today.